It has been so long since I have given you an update on my vest that I am sure you already forgot about it! I have been working on it but hadn’t had much progress and therefore didn’t have much to share besides all the unravelling I have been doing. If you are new to my blog I started this series a few (several) weeks ago to learn how to custom-fit a pattern. I am taking a Craftsy class that teaches you how to do this with a pattern for a vest in tunisian crochet and I have been sharing my progress with everyone (check old posts here, here and here). So after I finished all my swatches and finally started the back I had a lot of trouble. I have been thinking about what the problem really was and I think it lies on how comfortable (or uncomfortable) it is to achieve the gauge of the pattern. I did plenty of swatches to get the right gauge when I first started the class and even though I finally got the right one it wasn’t the way I would normally crochet: loose when I wouldn’t be loose and tight when I wouldn’t be tight. So when I actually started the piece my hands just went into automatic pilot and forgot all about what they had done before to achieve the gauge. Not only that but I realised halfway through the back that my piece was 3cm bigger than what it should be, which would turn into 6cm if I did the front the same way. So I unravelled and started to crochet tighter, but it would still end up too big! Changed hooks, and still too big! I was really starting to get desperate when suddenly, with a much smaller hook than my original swatches, everything fell into place. Well almost. Row gauge is still a bit off but I will fix that with blocking. Now the back is finished and the piece is 1cm smaller/bigger here and there, but nothing blocking can’t fix. I literally sighed with relief when I measured the finished back. One more unravelling would be more than I can handle for one project! So my piece of advice to everyone: make sure your gauge is comfortable for you! Instead of changing tension try changing hooks which is much easier to replicate in the finished piece. And I would say if you can’t get one of the gauges always go for stitch gauge. specially on a garment. 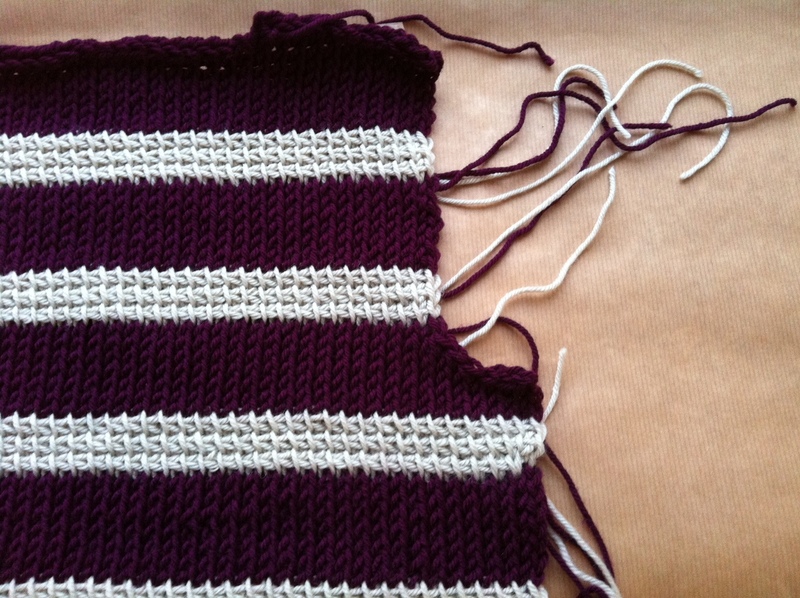 It is easier to fix row gauge by removing or adding rows than to unravel to remove stitches. You definitely learn more from your mistakes than from your successes! This proves my point–gauge swatches are vicious little liars. 😉 But that is a seriously pretty vest, and neatly done stitches despite your problems. Good job conquering the gauge beasties.